I haven’t had much to smile about this year and it sometimes feels like the bad days outnumber the good. The things that consistently make me smile are reading, writing and watching one of my favorite movies. After waking up this morning to Trump’s latest tweetstorm about transgender personnel in the military, having discussions about it with coworkers and friends that are part of LGBTQ community, I needed something to smile about. I was flipping channels on the rare occasion of me watching television and came across Willy Wonka and the Chocolate Factory. Now, mind you I didn’t have to sit through commercials because I have the video, but I did because it gave me a little more time to destress from the news of the day. I love how the Oompa Loompas just break into such an apropos song and dance after each bad kid is carted off. If I had to pick a favorite scene I’d pick Veruca Salt’s “I Want It Now”. I always thought she deserved a swift kick in the rump. And I truly think she was a major deciding factor in me not wanting children. I haven’t seen this version of Willy Wonka in ages. I’ve seen the Tim Burton/Johnny Depp one a few times. I need to go back and watch. Since Trump was so lacking in specifics and everyone else in the Whitehouse and the military seem to have no clue what he is talking about, I’m 99% certain he tweeted that just to rile up his base. He is an expert at that – anytime the news about him is getting bad, he tweets something controversial and all eyes move away from Russia, him not being successful and forcing the repeal of the ACA, etc. During the campaign, anytime any dirt was dug up, within minutes he had a controversial tweet and the dirt was instantly forgotten. Anyway, who knows who his “generals” are, any general who was asked said his tweet was the first they heard of it. My guess is it won’t happen. I hope! My friends and I came to the same conclusion, but it’s still distressing. 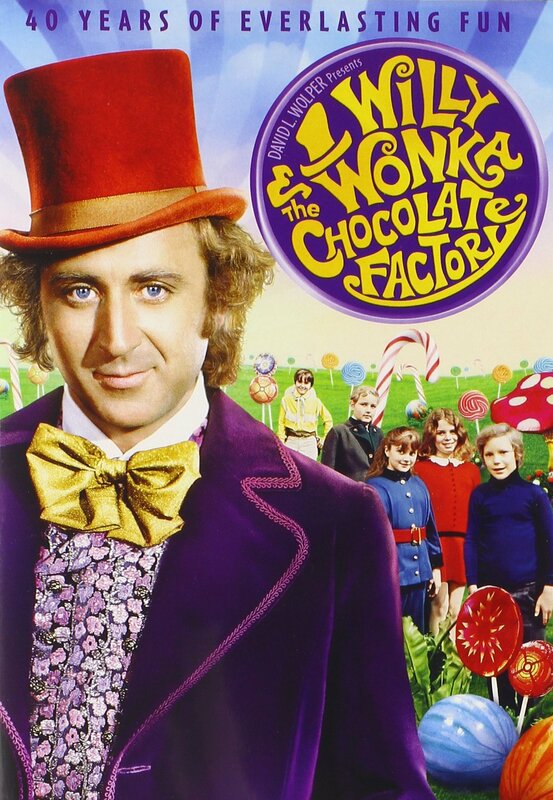 Anyway, you must take some time out to watch the original Willy Wonka. The graphics are cheap and cheesy. I love how you can see the string on Wonkavator. But inspite of that the acting is really great. When I was kid and saw it for the first time, I just knew that I was going to turn into a blueberry because every time my parents saw me I was gnawing on some Hubba Bubba bubblegum. Gene Wilder was great in everything he did….